Sensit Yoga is a unique yoga practice of awakening consciousness in the different layers and systems of our body by moving with presence, curiosity, and enhanced sensitivity. In Sensit Yoga Teacher Training you will learn to guide students into a mindful and meditative exploration of their body, breath and mind. You will train to apply the abundant knowledge that you will acquire about different systems including the skeletal, myofascial, the system of the organs, fluids, and the nervous system. 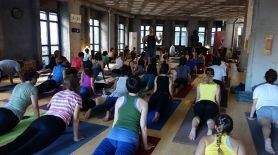 You will learn to teach both slow and more dynamic yoga classes, always with emphasis on the importance of sensing and feeling our body's capacities and boundaries, and moving from within instead of aiming at a certain external physical shape. This approach will be supported by a great number of modifications and adaptations of poses that you will learn. 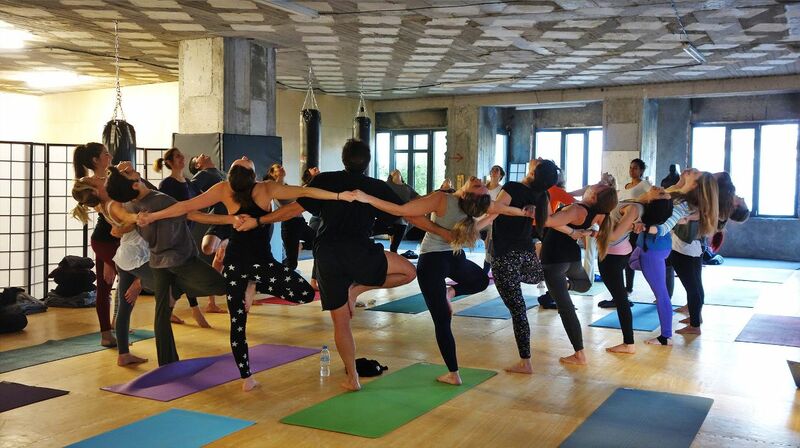 In this way your yoga classes will be accessible to people of different levels of physical strength, age, body shapes, flexibility and other factors. 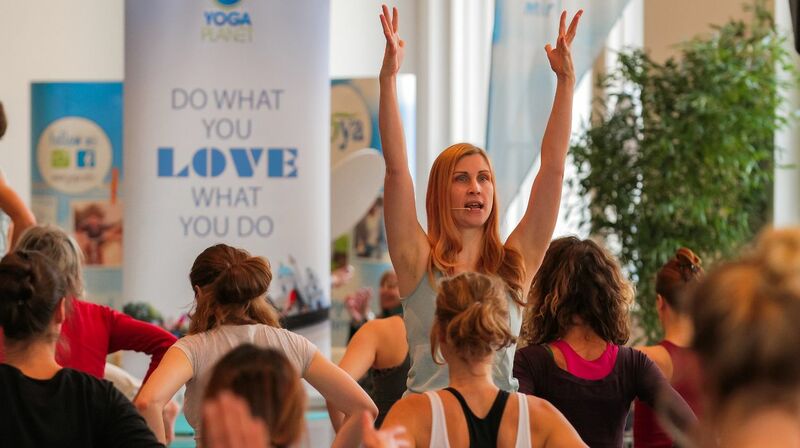 Students will be coming to your classes knowing that advanced yoga is no other than moment to moment inquisitive observation, taken into action. Students will be able to free themselves from the old patterns of forcing themselves into the poses, as you help them create new patterns of listening and being guided by their body's inner wisdom. A cultivation of a kind, present and supportive inner relationship brings about healing and integration of the body-mind. It leads to knowing oneself and discovering new levels of freedom in moving, thinking and being. You will learn to be expressing yourself clearly and with very explicit instructions while at the same time being in your own body, connected to your own body and your intuitive wisdom. - being on a path of continuous research and study, ever-expanding your perception and knowledge about the human body-mind, respectful towards the yoga tradition, but always open to exploring the new findings emerging from the field of yoga and other movement modalities, functional exercise and kinesiology. - enhancing your capacity for intuition, sensitivity and awareness of your students' needs, and how you can be of service to their path of progress. “In the 200hr program my primary focus is on creating a safe and supportive environment where every student can learn, grow and discover the teacher that they want to become. Learning how to teach yoga arises for each individual from their own unique experience of yoga (union), combined with detailed but comprehensible methodology of teaching. Throughout the months we spend together, we continuously explore and share how the teachings of yoga relate to our own inner landscapes. Every weekend we cover such a large amount of material, that if we failed to discover the link between the wisdom of the ancient teachings and our own modern lives, the bulks of information gathered would have been simply overwhelming. We work in a dynamic and interactive way to encourage the expansion of our potential, yet we also observe and appreciate each person’s individual learning curves, and differences that we all display in the way that this potential will finally be manifested and expressed through each teacher. More than anything I try to give each student tools and inspiration to Live the path of Yoga. 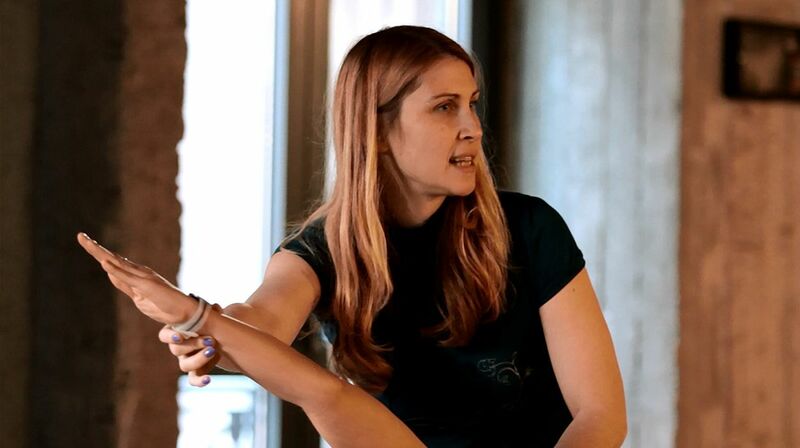 During the course the students dive deeply into the interoceptive awareness - experiential study of the Self, having an opportunity to make an important shift towards healthier and more balanced lifestyle. In this way, as much as it is about teaching yoga, the training courses are also about self-discovery, development and transformation." 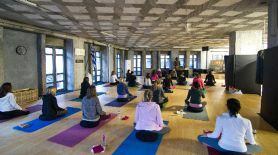 The 200-hour program is ideal for students who wish to teach yoga, for students who wish to dive deeply into yoga practice and study, as well as for the existing teachers of yoga who wish to experience Sensit Yoga method. - Immerse yourself in all aspects of yoga – asana, anatomy and alignment from within, modifications and therapeutics, philosophy, meditation, art and skills of teaching yoga, ethics and yoga business and other. - Dive into the philosophy of yoga from the Vedas to the Tantra contemplating the wisdom conveyed by these ancient texts in close connection to the present-day challenges we face as individuals and as societies of our modern world. - Discover and learn to trust and to express your unique gifts, voice, creativity and authenticity as a teacher. - Asana and other movement through the exploration of gravity, bones, muscles, fascia and organs. - Energy body (chakras, nadis, vayus) and pranayama study (breathing techniques). Pranayama as the connection between the body and mind. - Embodied anatomy and physical alignment in asana. The therapeutic dimension, counter indications, and applications on a variety of body types. - Common yoga injuries, and how to avoid them. Stabilizing and strengthening exercises as preparation for asana. - Restorative poses and use of props (blocks, straps, chairs, blankets). - History and philosophy of yoga. The relevance of the ancient philosophy texts to our modern times. The Vedas. The Upanishads. The Bhagavad Gita. Yoga Sutras of Patanjali. The Tantras. Basic Sanskrit and names of poses. - Methodology: Skillfully designing classes that. c) Always offer students something to apply in their daily lives. - Methodology of using speech, tone of voice, teaching speed and asana demonstrations in different stages of the class and under different circumstances. - Class design for beginners, middle level and advanced students. Designing mixed level classes. 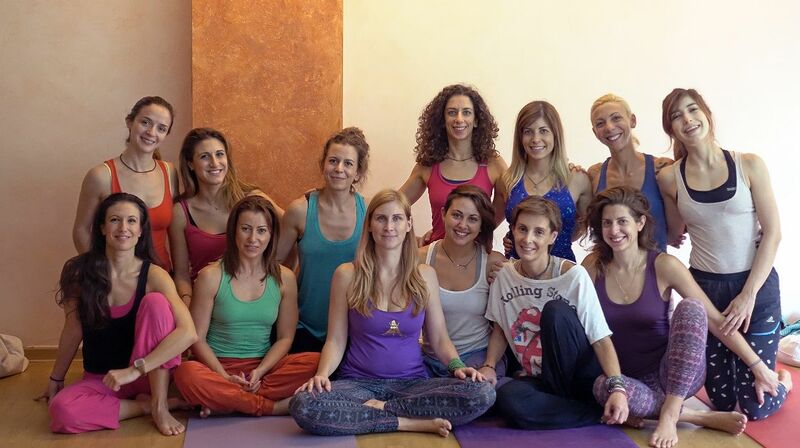 - Lifestyle, ethical principles and code of principles-values for yoga teachers. - How to start your career as a yoga teacher. Legal and economic issues (trademark, copyright, data protection, rights and liability, discrimination issues, special matters of liability and quality services, market research, marketing and advertising, trends research). - Practicum and volunteer teaching to a social group in need. - Studying, recording, homework, written assignments. 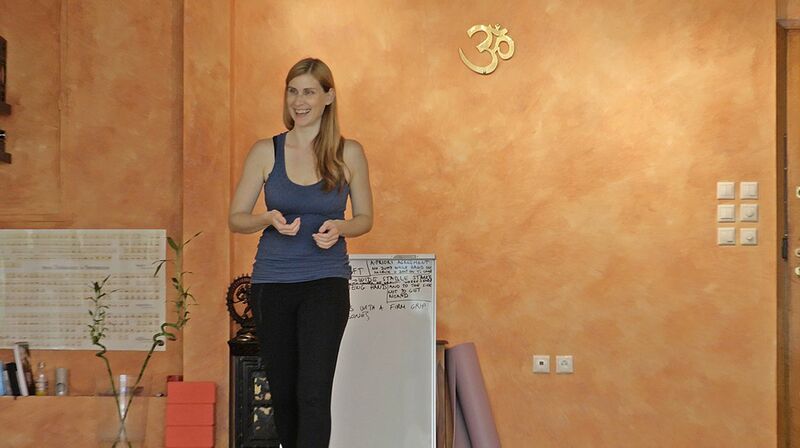 Maja is a passionate explorer of yoga as a process of growth. 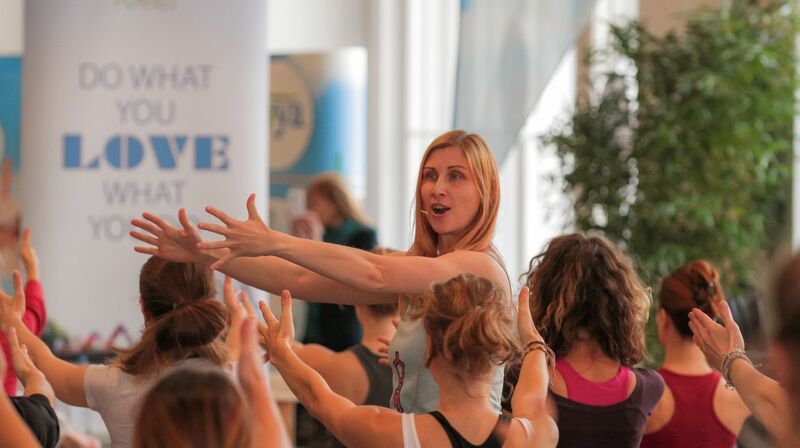 Her ife and teachings are dedicated to connecting with people with devotion and care, while her teaching method combines dynamism with applicable, mindful, and embodied approach to physical movement, respecting the needs of each individual, and inviting them at the same time to unfold their true potential. She is most interested in ways that physical movement, breath attention, mental observation and yoga philosophy can all be combined to help us navigate through life's challenges more skillfully and more efficiently. She aims at raising an understanding that yoga is here to equip us with strength and strategies that we need in order to unfold the process of healing the relationship with ourselves, with others and with the planet. Maja's note: The outside world is merely a reflection of our inner state. Increasingly integrating (the seemingly scattered) parts of the self through yoga and other awareness practices, we begin to see the profound connections and interdependence everywhere we look. From the separation dream, we gradually wake up to the fact that our individual spiritual growth is both contributing to, and strongly dependent on the degree of the evolution of the collective. Whether through meditation, mindful asana practice, aware and respectful parenting, acts of self-nurture, being in service to the underprivileged, or through simple random acts of kindness, yoga truly comes alive when the context behind our actions is a desire to contribute to the elevation of the consciousness level of the humanity as a whole. After 2 weeks before the start, no refund. 10:20-12:00 Reviewing and discussing the sequencing/theming/emphasis of the class that proceeded. Anatomy relevant to back bends (lower limb rotations, core, ribcage, shoulder and upper arm alignment, neck position, etc). Advantages, counter-indications. How to prepare the students' bodies for back bends. Manual adjustments. Use of props (blocks, blankets, straps). How to teach adequate relaxation and grounding poses after the back bends.